Rick and Kate Cacciatore, of Fairfield, and Tim and Bobbi Sue Russell, of Southport, enjoy Pequot Library's ShakesBEER Garden & Games kicking off the "Uncovering Shakespeare" exhibit at the library. FAIRFIELD — The Pequot Library toasted its new “Uncovering Shakespeare” exhibit with a bubbly Bard-themed ShakesBEER Garden & Games program at the Southport institution. 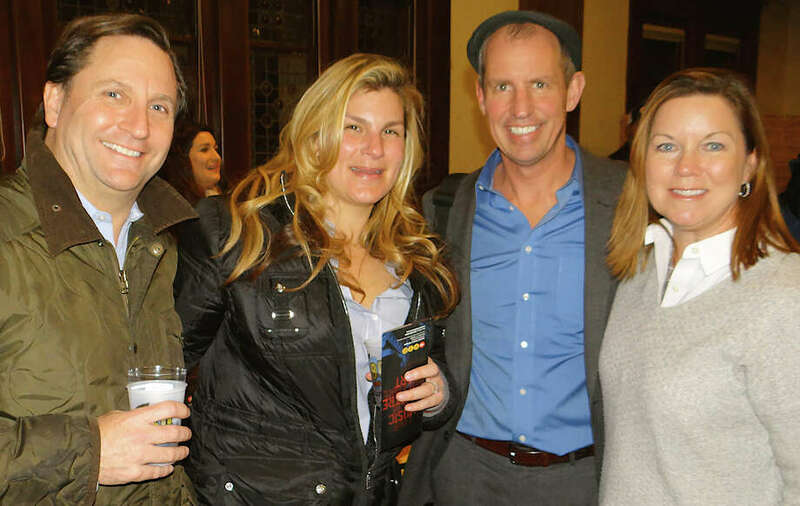 The library auditorium was transformed Thursday into a beer garden, featuring beer offered by Aspetuck Brew Lab and Southport Brewing Co. and tables topped with plates of pretzels and mustard and chicken drumsticks wrapped in bacon. The games aspect of the evening included beer pong, darts, chess, checkers and even a Shakespearean trivia contest. The event celebrated the library’s collection of Shakespearean artwork, rare books and special works showcased in the exhibit. For more information, visit www.pequotlibrary.org .